This level has medium difficulty. For this level try to play from bottom part of the board and make special candy. 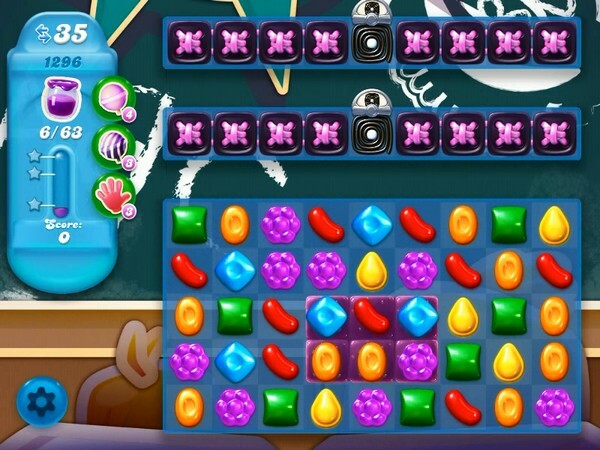 Combine special candies with each other to break more blockers or play near to jam to spread them to near candies. Definitely not medium difficulty. Levels are being made harder and harder. “Medium difficulty”. That’s almost laughable. And I love the video about. The player gets a coloring candy and then a color bomb right next to each other in just a few moves. Who can’t win with that start? What a joke!!! Every example they show is winning with a “Kimmie”!! What are the odds on how many games you’d have to play before you got that??? Totally a joke! !